Cindy feels honored to have found her calling as an educator and birthworker. She has a strong teaching background, earning a Bachelors of Science in Dramatic Arts in 2001, and a Masters of Education in 2005. She has been warmly serving families during their childbearing year and beyond since 2010, when she became accredited as a La Leche League Leader. Over the past six years, Cindy has gone on to become a certified Birth Arts International Doula Trainer, Bradley Method Childbirth Educator & Doula, Evidence Based Birth Instructor, and Rebozo Certified. In addition, she has professionally trained in and with many other amazing birthkeepers and organizations, such as Sacred Doula, toLabor, BOLD, the Sacred Living Movement, Yoga Nidra, and Heart of Herbs Herbal School. She has a strong commitment to maintaining an ethical business and is a proud H.E.A.R.T. Birth Professional. Cindy brings a sense of humor, experience, reverence, and honesty to her work as an educator and doula. She runs an inclusive practice, service families of all genders and sexes and is as an Equity and Diversity Advocate for La Leche League. Students and families find her engaging, relatable, and warm. She truly believes in the power of evidence based information, and that families deserve loving care, and respect for their innate wisdom as they birth and parent. 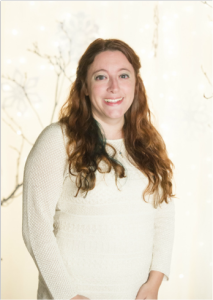 As the owner of Tree of Life Wellness Services, Cindy offers doula services, Bradley Method and private natural birth classes, Sacred Postpartum Mother Roaster and Benkung Belly Bind services to parents in New Jersey; Staten Island, New York; and Northwest Pennsylvania.